WE’VE all read stories of how a devoted, long-married couple passed away within days of each other. They died of a broken heart, the headlines will read, and they’ll be absolutely right. Instead of a romantic cliché this can actually be a medical condition which, in some cases, is fatal. 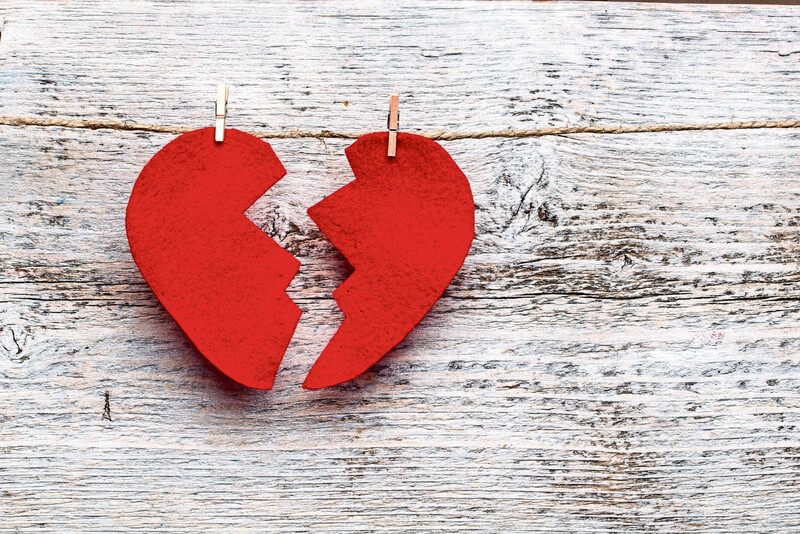 “Broken heart syndrome”, or Takotsubo syndrome, can be brought on by extreme emotional stress, like a bereavement, sometimes resulting in heart failure. It’s only relatively recently that it’s been recognised as a condition and it’s still thought to be under-diagnosed as it’s often mistaken for a heart attack because symptoms can be very similar. “It’s difficult to put a figure on how many people are affected by Takotsubo syndrome because it’s only been widely recognised in the last few years,” says Emily McGrath, a senior cardiac nurse at British Heart Foundation (BHF). The syndrome causes a weakening of the left ventricle, the heart’s main pumping chamber. The ventricle changes shape and enlarges to resemble a Japanese octopus pot, a “takotsubo”, which has a narrow neck and a round bottom (the condition was first officially reported in Japan in 1990), and stops the heart from pumping properly. Three-quarters of people diagnosed with Takotsubo syndrome, which is also known as Takotsubo cardiomyopathy or stress cardiomyopathy, will have recently experienced either significant emotional or physical stress. As well as bereavement, stresses associated with the syndrome include severe pain, surgery, overwhelming fear and receiving extremely bad news. There have also been reports of people getting it after the shock of intense, unexpected happiness such as winning the lottery. These events are reasonably common so exactly why some people’s bodies react in this way is still a mystery. One theory is that it’s a result of the body changing its response to the high level of adrenaline released during periods of extreme stress. Normally, the body reacts by stimulating the heart in preparation for a “fight or flight” response, increasing oxygen levels. In Takotsubo patients, stress hormones may cause changes in cells and blood vessels which “stun” the heart, reducing its pumping power, though most patients make a full recovery. Chest pain and shortness of breath, following the severe stress trigger, are the most common symptoms. As many as 90% of people diagnosed with Takotsubo syndrome are post-menopausal women. Experts believe this may simply be because men are more likely to collapse and die from it before reaching hospital, and the true cause of death may not be obvious to the pathologist. Before menopause an unknown factor – possibly oestrogen levels – might provide protection so they don’t develop the condition during the acute stress of childbirth. There’s currently no medication known to help in the acute phase of Takotsubo syndrome, or prevent a second episode (up to 15% of people who’ve had it will suffer another bout, often as a result of a completely different type of stress). “Because heart attacks must be treated quickly to reduce damage to the heart, Takotsubo is often treated as a heart attack at first,” explains McGrath.